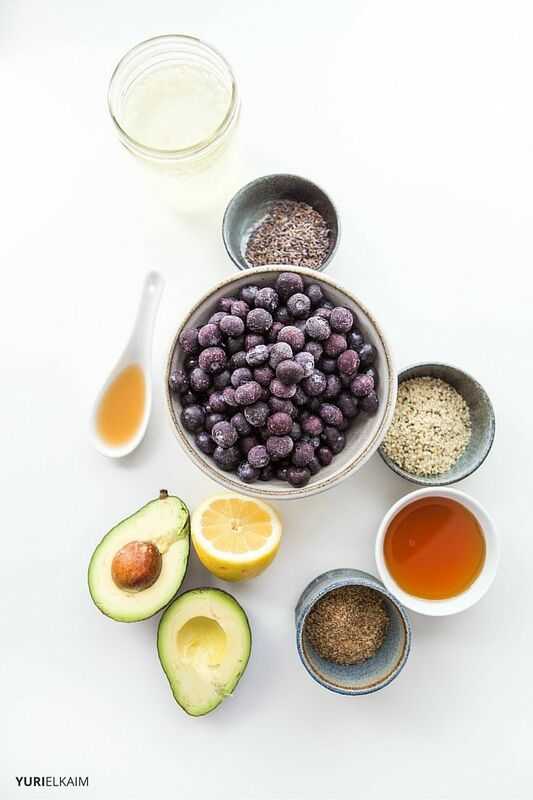 Expensive creams and lotions offer the promise of glowing skin, but to truly radiate from the inside out, you’ve got to consistently feed your body the right nutrients. That’s what this glowing skin smoothie is all about: It’s got just what your skin needs to radiate health. Not only that, the bright, unexpected flavors of blueberry and lavender taste incredible together. A potent combo of antioxidants and anti-inflammatories make this smoothie a workhorse for dull, irritated skin. Seriously, it’s amazing how healthy eating recipes not only affect the inside of your body, but also the outside. This citrus-kissed smoothie has a creamy texture that makes it almost shake-like. Blueberries lend this lovely drink a tart, slightly sweet flavor that’s offset by a dollop of amber honey. If you’ve never used lavender for cooking, this recipe is a great way to get you started. Use culinary grade lavender, and don’t go overboard. 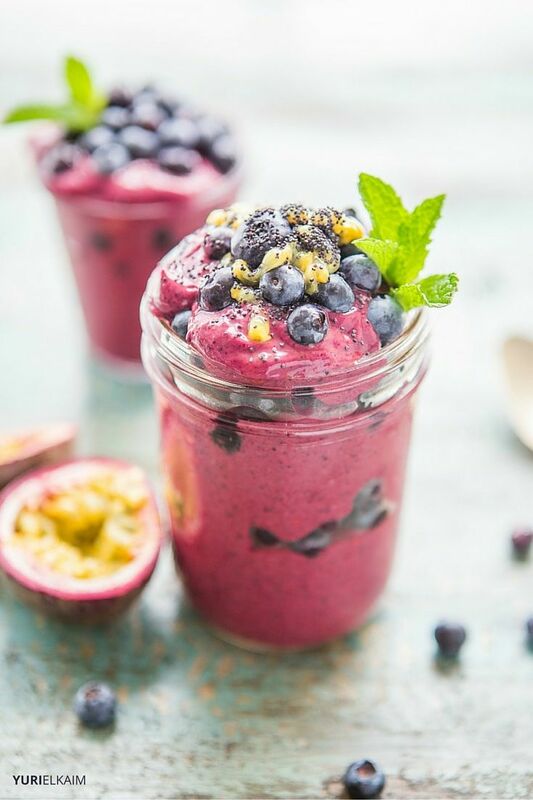 A little lavender gives this smoothie wonderful depth of flavor, but be forewarned that adding too much may give it a soapy taste. Although lavender essential oils are considered “generally safe for consumption” by the FDA, I recommend doing a background check to ensure the company you’re purchasing from offers a certified pure oil. If you’d rather not use lavender oil, feel free to omit. Or make your own lavender syrup by boiling raw honey with lavender buds for three to five minutes, then straining out the buds before using. You’ll get a little nuttiness from the hemp and flaxseeds and a zesty lemon flavor for the perfect finishing touch. Blueberries are among most nutrient-dense berries around. Just look at their beautiful deep-blue color: It’s produced by anthocyanins, which help repair damaged cells and promote the growth of new and healthy cells, including skin cells and collagen. The antioxidants and phytochemicals found in blueberries help to neutralize free radicals, which might otherwise damage skin cells. In fact, drinking blueberry juice daily reduced oxidative DNA damage in study participants taking part in a six-week study (1). 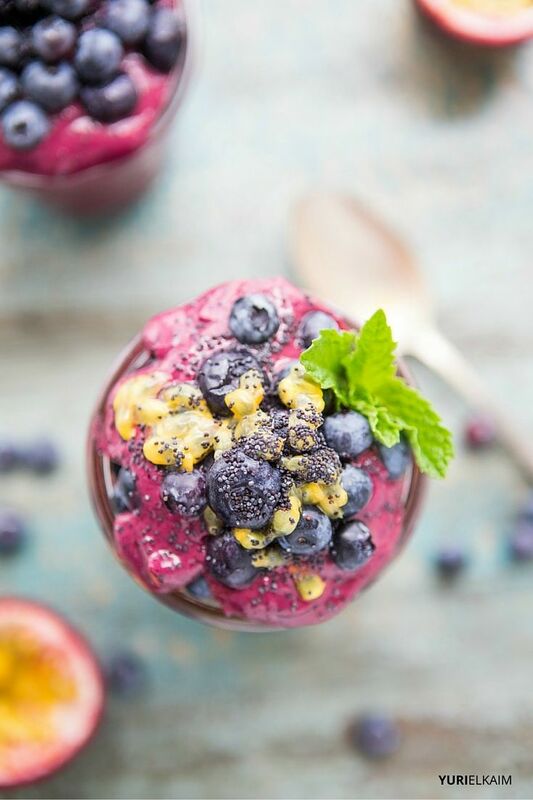 Blueberries are also packed with Vitamin C, another antioxidant crucial for collagen production, as it’s necessary for growth and development of tissues. You’ll also get a good dose of C from the lemon zest in this tasty smoothie. Let’s not forget about the amazing anti-inflammatory properties from this smoothie. Inflamed skin is prone to flake, peel, and develop acne. 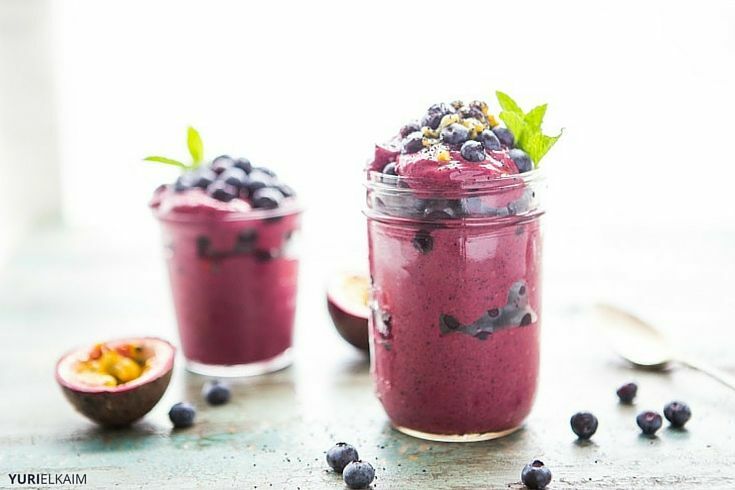 This smoothie is packed with food to tame your inflammation, like avocado, hemp seeds, flaxseed, and lavender. Lavender contains a compound called linalool, which plays a role in anti-inflammatory activity (2). Antioxidants are nature’s fountain of youth, and this smoothie is jam-packed with them. You’ll definitely want to add this smoothie to your pampering routine. Drink in all of the life-giving benefits of real foods with this delicious smoothie. It’s got everything you need for positively radiant skin. Place all ingredients in a blender, adding just enough coconut water to create your preferred smoothie thickness. How long until this smoothie works? As with any natural remedy, consider this one aspect of a healthy routine. Enjoying this smoothie 2-3x weekly for a month will start to give your body the consistent nutrition needed to make your skin happier and give you that all natural glow. Remember to avoid sugar and processed foods, as well, for optimal skin health. Want to Get Your Glow On? If radiating health from the inside out is important to you, you might want to check out my free 1-Day Detox Plan. It’s designed to detoxify your body in 24 hours using mouthwatering “cleansing” meals. Click the banner below to get it for FREE.